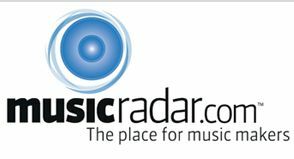 Anyhoo, just a small note to say thanks from all of us to all of you for your continued support over the first year of MusicRadar's existence and - and the stats don't lie - making our 12 days of Christmas such a runaway success. We've changed loads over the last year, introducing all-new features, world exclusive stories a-plenty plus a bright new look. Next year will see even more improvements to the site, beginning with our still-in-development but looking-rather-snazzy NAMM blog. More as we near the first big show of 2009. Enough. There are presents to be rattled and snowballs to be thrown/glugged. We'll be posting new stories EVERY SINGLE DAY over the Christmas break so be sure to keep coming back for your music fix plus get ready for a New Year triviathon to beat all others. In the meantime, here's a festive clip of a house with its lights set up to sync with Elvis's Blue Christmas.